You are here: Home > Blockbuster Video Stores To Begin Selling T-Mobile, Sprint And Verizon Phones? 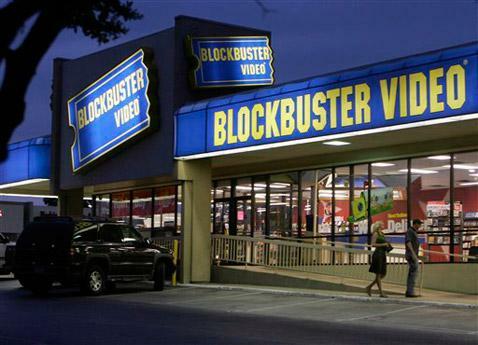 Blockbuster Video Stores To Begin Selling T-Mobile, Sprint And Verizon Phones? While Dish Network continues to fight the FCC over the use of their spectrum, they are set to begin selling mobile phones in their rental locations as a test for Dish’s entry into the wireless market. Blockbuster had already begun selling phones on their website under the name “Blockbuster Mobile,” with devices from Verizon Wireless, Sprint and T-Mobile. Now, Dish is said to be expanding the effort to their remaining 850 Blockbuster brick and mortar locations, according to unnamed sources. According to Dish Chairman Charlie Ergen, the company has planned on selling mobile devices inside Blockbuster stores since they first bought the company in April 2011. Dish is still said to be exploring launching their own wireless network, but plans are on hold until the company can resolve their pending disagreement with the FCC over the use of their current spectrum holdings. “Wireless will complement all of our technologies and allow us to be in more places and offer more of our services on one bill,” said Ergen. Deals between T-Mobile and MetroPCS, along with Sprint and Softbank have hampered discussions over Dish partnerships as the most likely industry partners are now unlikely to show interest in working with Dish. The carriers are also in a better position due to their retail holdings as Blockbuster has gone in the opposite direction with hundreds of locations closing in the last 18 months. At its peak, Blockbuster had around 9,000 locations in 2004 leaving just 1,700 when Dish rescued the company from bankruptcy. Anyone still live near a Blockbuster? Blockbuster still exists? I don’t think this is a good idea. :| I haven’t seen a Blockbuster since the only one I knew of in my area shut down earlier this year. It’s a strong move, but I guess we’ll see which way it steers that ship. I could see this crashing and burning. So.. If Verizon bursts into the mobile market and uses Blockbuster as retail for their devices, will it be called Blockbuster Mobile like the website? I’m not sure how I feel about it. I know them as being a rental store for movies and games, not to buy phones. Going to need to re-brand the name, which costs money. They’re going to want to re-program people into knowing that Blockbuster also has phones, and is a carrier of mobile phones. Plus who uses Blockbuster anymore? We’ve got Red Box and Netflix. I know several people that still use Blockbuster for their movies. I don’t use them and don’t plan to. i don’t have any Blockbuster stores in my area anymore. None in my area either. Nor are there any other video stores. There isn’t a single one left in my entire state. Lots of Redbox kiosks, though. I passed an independant video store the other day, but they might have been closed. It’ll fail just like Sprint did with Cox Communications. Now that Verizon paired up with Cox, it’ll soon fail too. I got a couple of blockbusters close by. Its really convenient because I get DVDs in the mail through Dish/Blockbuster. We then take the DVD after we’re done with it to Blockbuster and get another DVD. Once we return the DVD to the store, the next DVD ships. Its the same amount of time as waiting for the DVD to get to the DVD hub in Denver as it is to get the 2nd DVD at the store and return it the next day. I still don’t see how selling mobile phones in Blockbuster will help out. I think that will cause confusion and strain at the blockbuster since they are now going to have to buy and maintain phone inventory. I didn’t know Blockbuster stores existed. None in my area, no Hollywood video either. I’ve seen a couple of independent ones in shady strip malls. Hollywood Video went out of business ages ago.